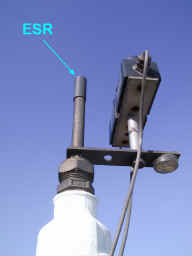 Abstract The inexpensive ESR solar sensor from Delta-T Devices is compared to the professional CM21 pyranometer from Kipp + Zonen (WMO class 2 device). 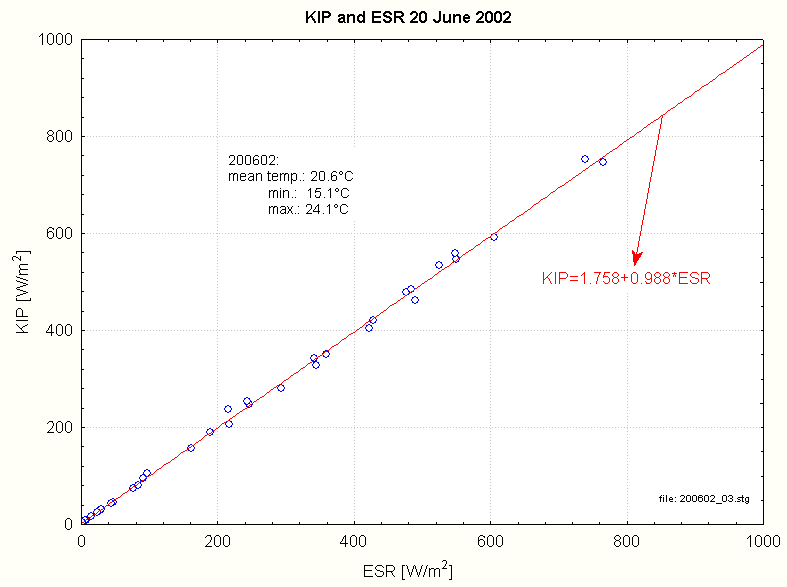 This report shows that the much cheaper ESR can be used as a stop gap in case of failure of the CM21. 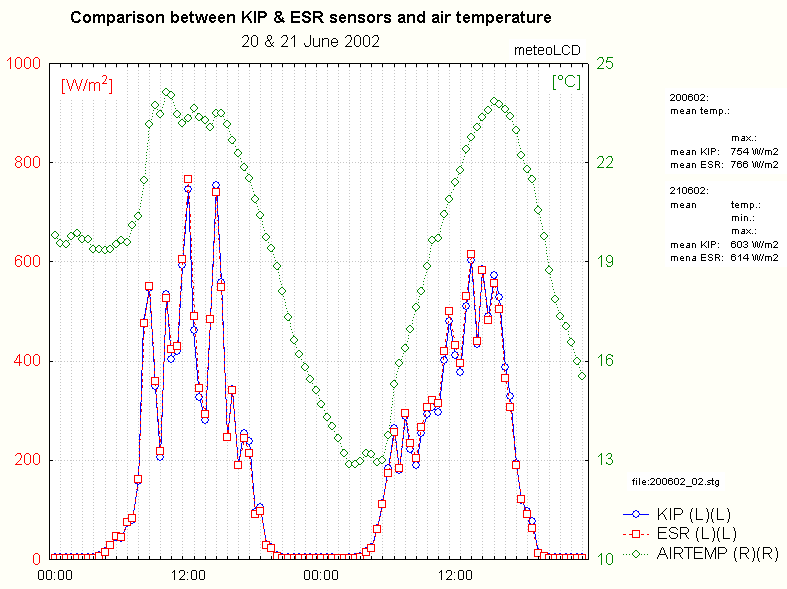 The differences between the 2 sensors are dependent of ambiant air temperature, but seem to not to vary with higher solar irradiances. The ESR sensor (serial number ES/19669) from Delta-T Devices is based on a Si photodiode housed in a black, non ventilated casing covered by a plastic diffuser. Its spectral range ( > 50% rel. spectral response) extends from 400nm to 1000 nm and the output is 1mV/(W/m2). The accuracy of the sensor is not known. The sensor signal is read by a Delta-T Devices DL2 datalogger programmed to make one reading every minute and to store the average of 30 readings every half hour. 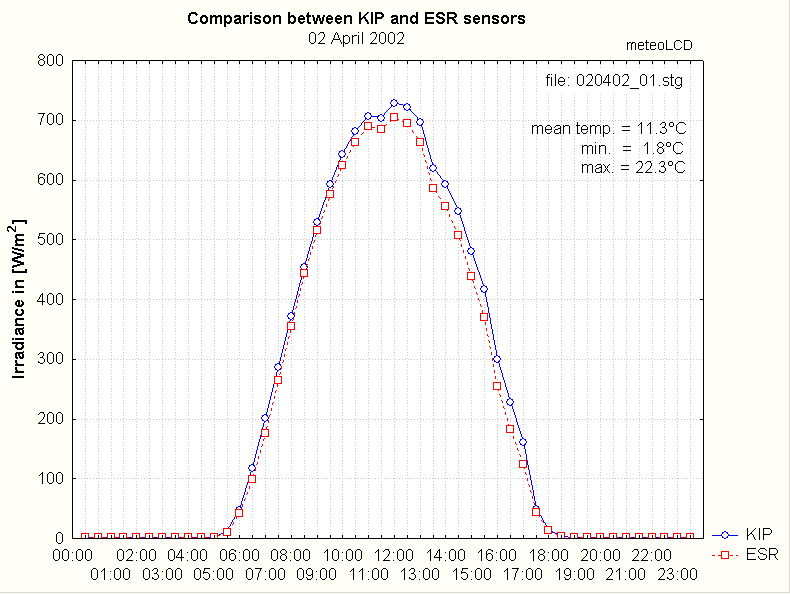 Both sensor data were corrected for a midnight zero-offset (highest offset of the reference period added or subtracted). 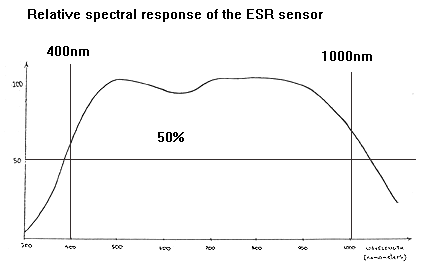 Relative spectral response of ESR sensor as given by the manufacturer; the curve is reasonably flat between 500 and 900nm. The CM21 pyranometer from Kipp & Zonen is a thermopile-type pyranometer covered by a double quartz-glass dome; its spectral range extends from 300nm to 2800nm, a much larger range than the ESR. 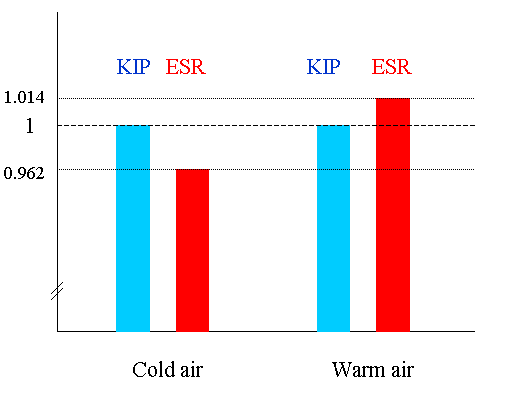 The instrument ( called KIP in this report) used by meteoLCD is continously ventilated to minimize temperature influence. The relative spectral response is unknown. For this comparison, we use (nearly) cloudless days in April and June having markedly different temperatures. 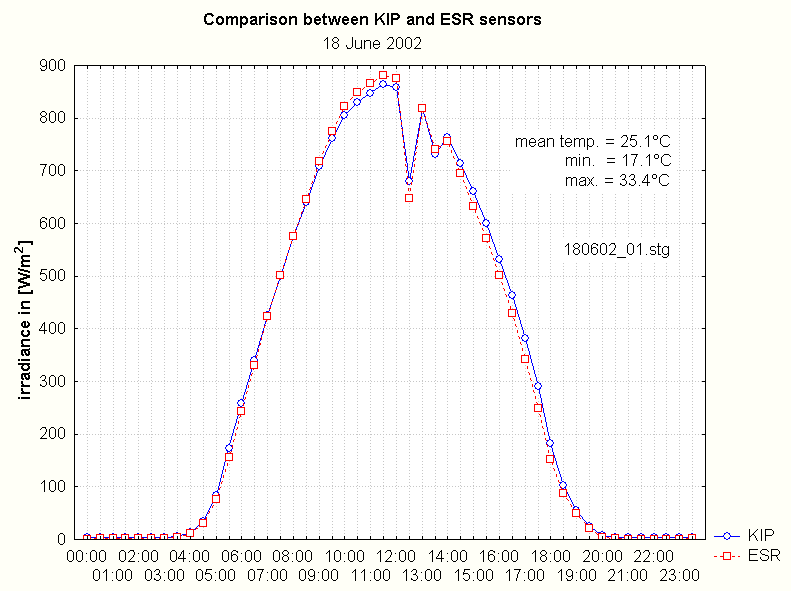 The figure shows that both sensors agree reasonably well, with ESR readings always slightly lower than the KIP readings. 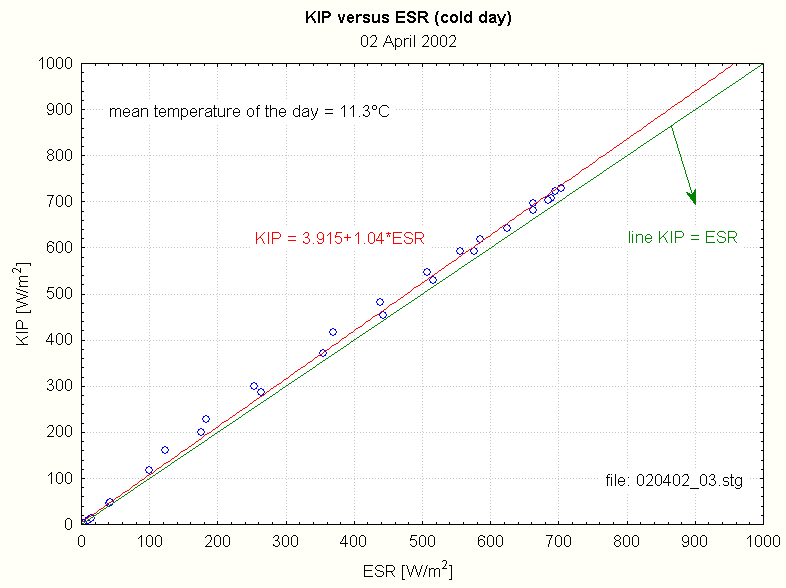 This is the calibration curve to apply to the ESR readings for warmer days. One should note that the offset is more than the double of the preceeding day! This table shows that the assumptions on the sign of the corrections to be applied is verified by the data, but that the coefficient given by the manufacturer is 4 to 6 times too low. Let us compare two days with approx. same air temperature, but different solar irradiances; these two days should be close, so that the mean angular position of the sun will be nearly the same. The differences in the scaling factors are quite small and tolerable for a relatively inexpensive instrument (the picture shows the relative scaling differences). 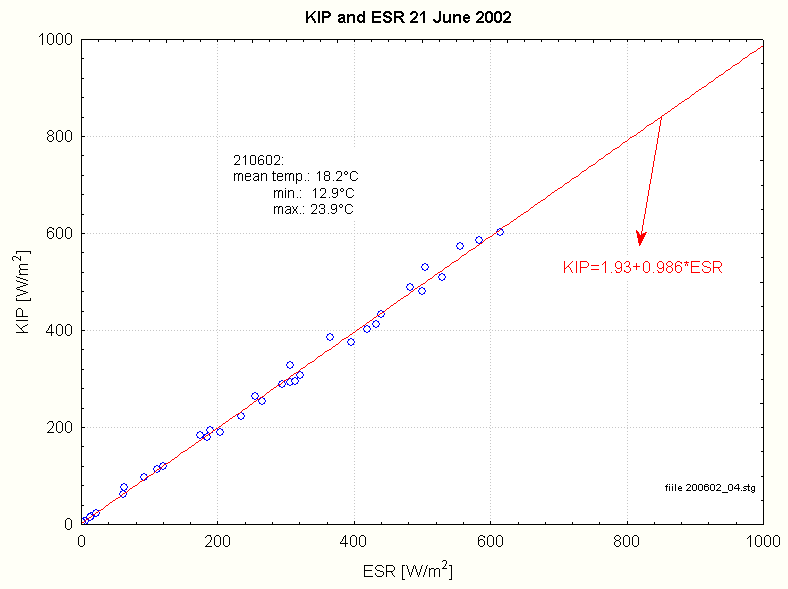 The ESR may be used with confidence as a backup instrument in the case of a failure of the KIPP & Zonen pyranometer. 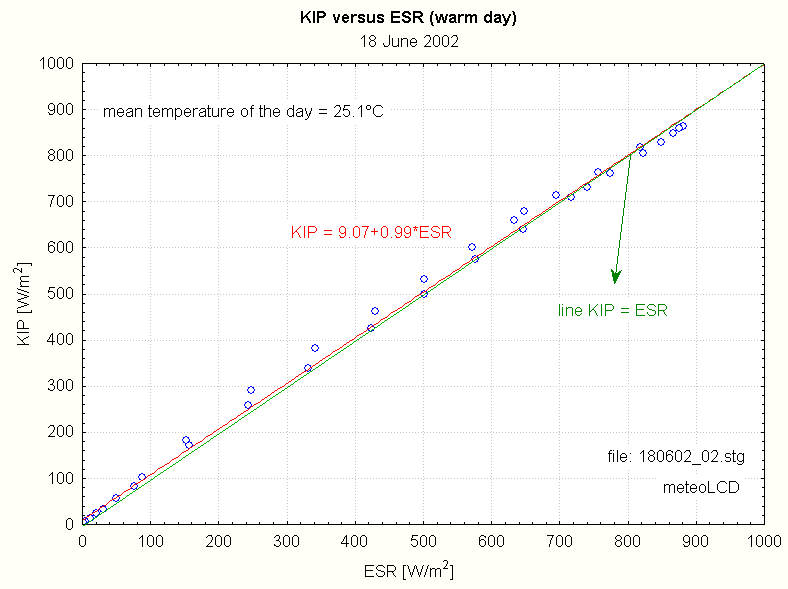 The loss of accuracy will probably not exceed 4 % under normal temperature conditions.